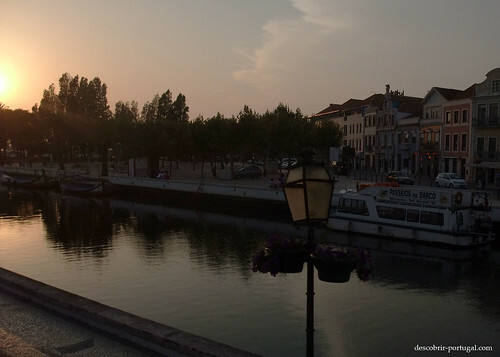 Aveiro, Portugal’s most beautiful city? 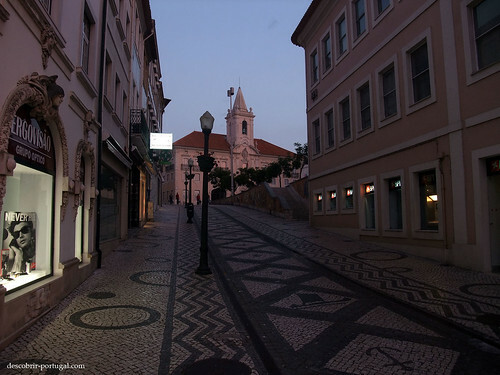 When I was a student I once asked a friend who traveled widely in the country: I wanted to know what was the most beautiful city in Portugal for him. 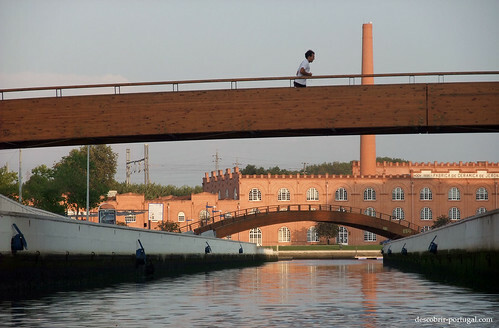 He did not hesitate a single second : it’s Aveiro. 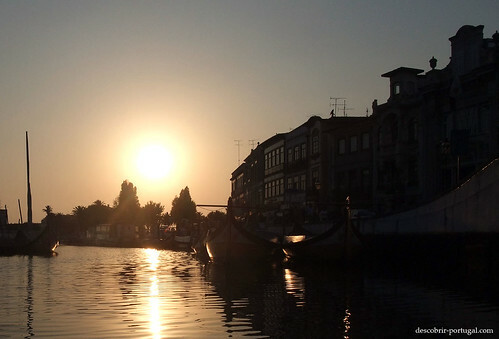 No more need to say more : it will remain etched in my memory: Aveiro is a city to visit and enjoy as it should. 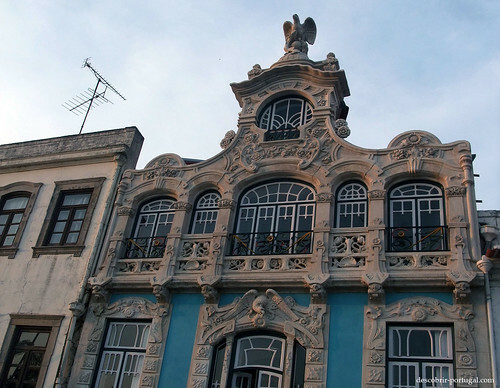 Walking along the waterfront, stroll along the canals on one of the “moliceiros” and then just enjoy the culinary traditions of this city in central Portugal are equally unique pleasures that are worth visiting and even living. We can breathe in this town! 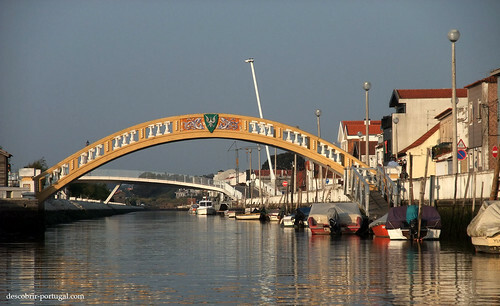 Aveiro is the second largest city in the central region of Portugal, just after Coimbra. It is distant from this city about 60 km, and 70 km from Porto. 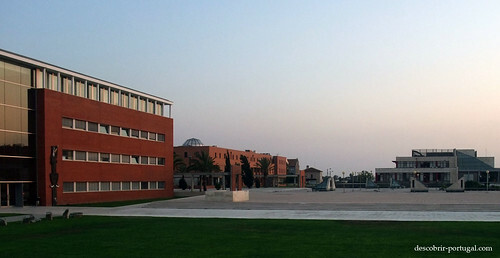 It therefore enjoys a strategic location, in the axis Porto-Lisbon, on the coastline. To get there, it’s easy: you take the highway. 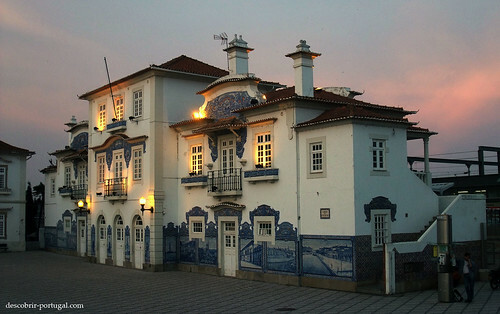 The train trip is of course possible, it is a mandatory stoppage of the Lisbon-Porto, like this one can discover the beautiful train station, all white, and beautiful tiles, the famous blue and white tiles so typical of the country . 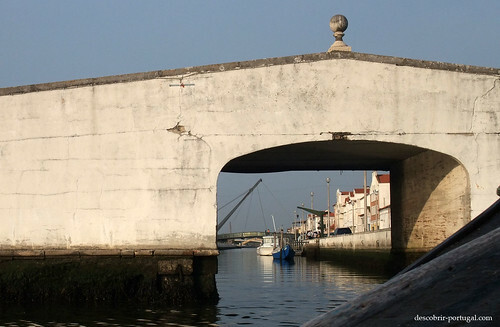 The differentiating factor of Aveir, is mainly the Ria de Aveiro, which contributes to the beauty of the city. 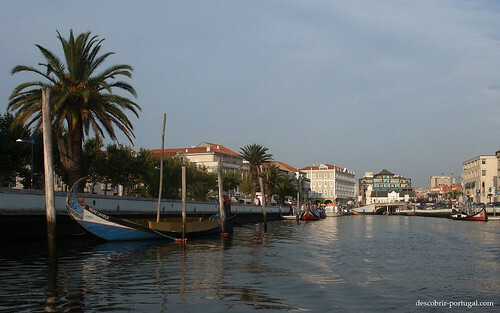 Ria de Aveiro : it’s called an “accident basin”. There are many throughout the Portuguese coast: when the sea level dropped ago a few hundred years, many lagoons have remained. 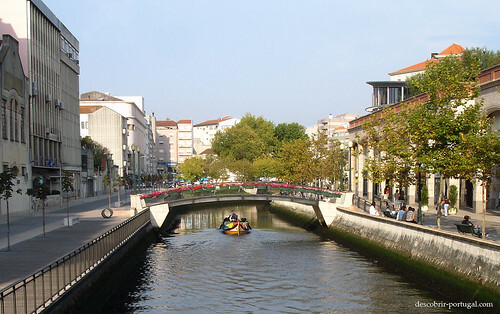 This is the case of Ria de Aveiro, composed by many small islands, lagoons and canals of all kinds, which lay the waters of the little river Vouga. 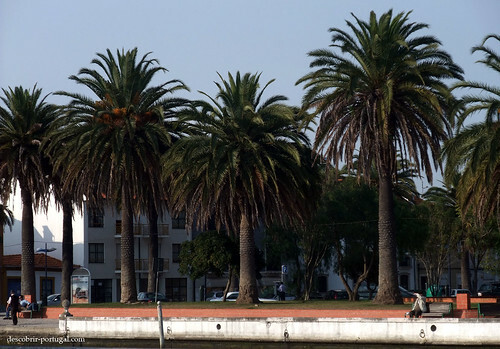 Ria is 45 miles long, from the town of Mira Ovar (and beach ), Aveiro in the middle and Ilhavo not very far. 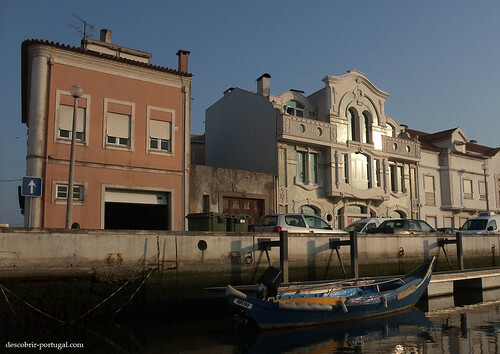 In Ria de Aveiro, there is salt, but also many water sports, which is highly appealing to tourists and holidaymakers off to discover Portugal. 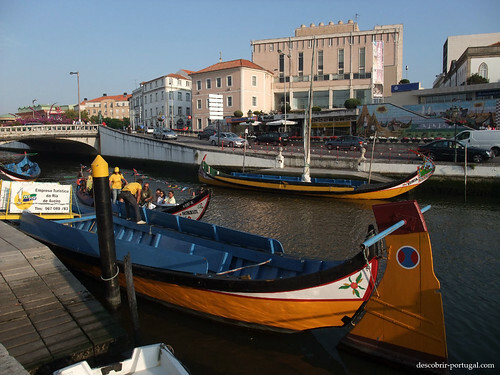 The Ria de Aveiro, it is not just recreation or traditions: there is the great port of Aveiro ,with intense industrial and commercial activity. 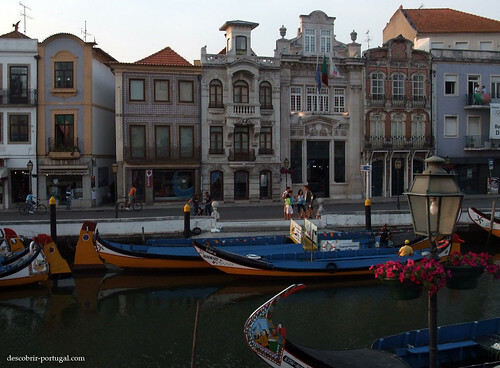 Aveiro is a modern cityt, with its wide streets, its modern buildings and dynamism. But like any European city, it is full of history and has a very well preserved heritage. 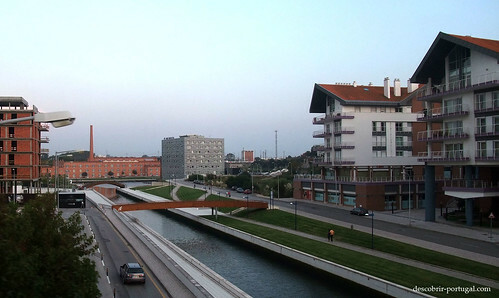 Aveiro has benefited a few years ago on the ambitious program Polis, a program of the State to renovate and modernize the cities. The money of the program has been very well used, everything was done with taste and intelligence. 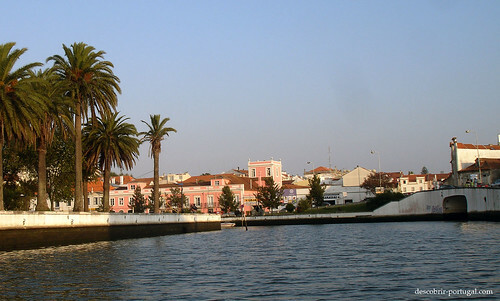 The first time Aveiro is cited, is in the will of the Countess of Portugal (or “Portucale”), Mumadona Dias. 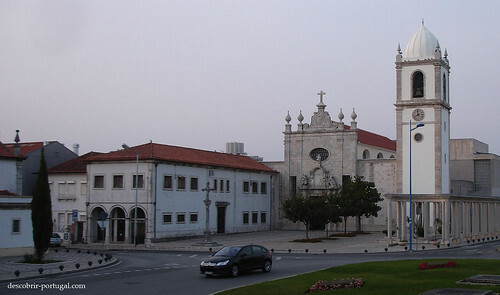 In her will she bequeathed in the year of 959 the monastery of Guimarães with a place called “Alaurio”. Mumadona Dias, for the record, was the great granddaughter of the first Count of Portucale, Vimara Peres. 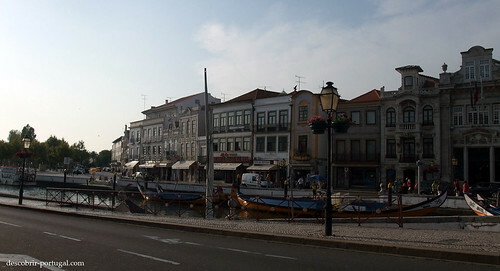 Not until the thirteenth century Aveiro obtained the status of “Vila” . 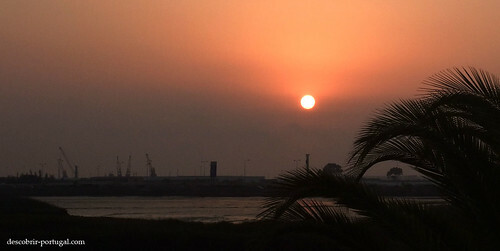 The city, due to its geographical position, was able to establish populations around its salt, fishing and maritime commerce. The municipality was established in 1515. Towards the end of the sixteenth century, the communication between the Ria and the sea became unstable, and eventually closed. 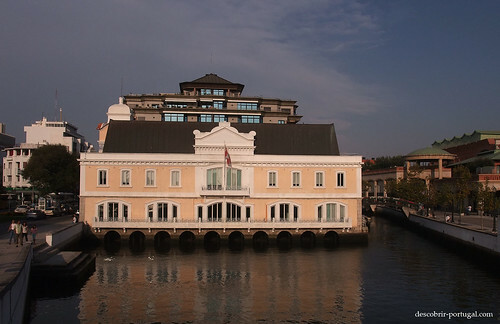 This causes the logic closing of the port and the most serious crisis that the city ever have seen: standing water, unsanitary conditions, caused a decrease in population, partly to other lands. 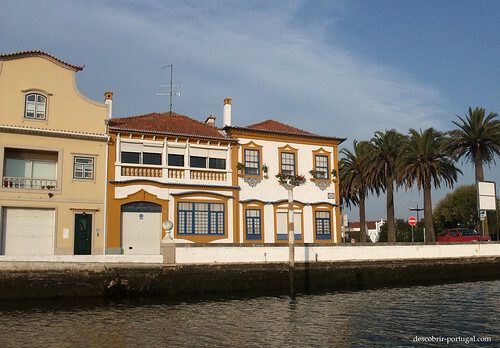 It is in 1759 that King Dom José raised to the rank of “Cidade” the Vila de Aveiro. At this time, the city became known as “Nova Bragança”, because the Duke City, the Duke of Aveiro, was convicted of treason. 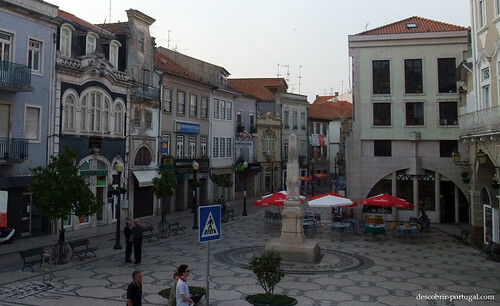 But as always, the simple policy can not go against centuries of history and folk tradition: Aveiro recovered his name shortly after this episode. 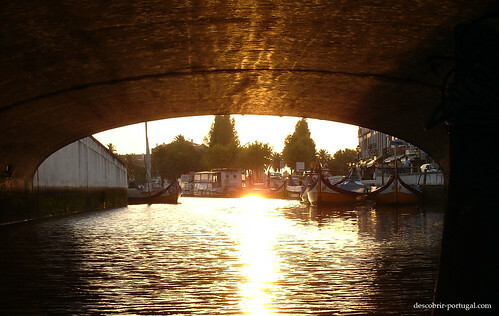 It was In the early nineteenth century that the problem of canal linking the Ria de Aveiro to the sea was solved. Two engineers were called, Colonel Reinaldo Oudinot and Captain Luis Gomes de Carvalho, in an attempt to stabilize the channel, which is too often blocked. They will succeed in 1808 with the construction of a dam. 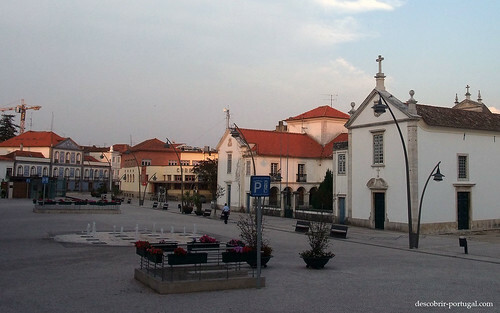 The portion of the railroad in the nineteenth century, largely due to the parliamentarian from the region Estêvão José Coelho de Magalhães, allowed to develop the city, which makes it occupy today a prominent place in the Portuguese economy. 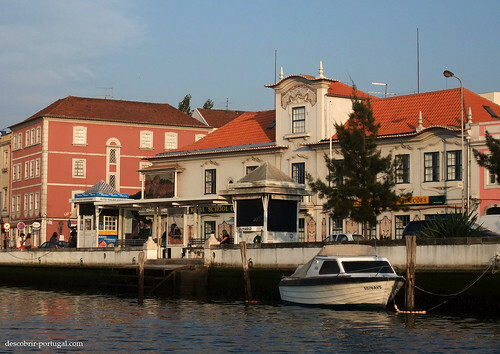 Aveiro is one of the most beautiful cities in Portugal, but also one of the most dynamic. 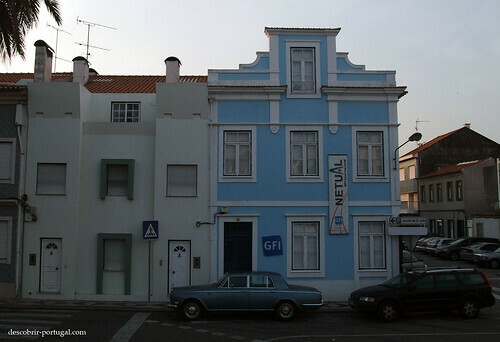 Its location in the heart of the Ria de Aveiro, near the beaches, the city of Porto nearby rail and highway, make it certainly one of the most pleasant cities to live. Travel agents who advise this destination of choice are not mistaken. For a quick overview of the city, we took a tour bus: it is double-decker buses, in which you can enjoy beautiful views, like those I tried to transmit in the pictures here. The majority of buildings are fairly recent. 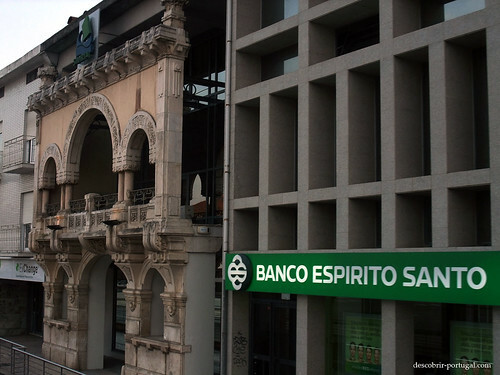 There are many buildings of “Art Nouveau” and others more traditional. 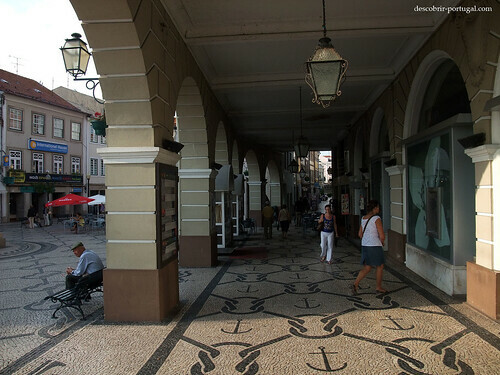 The facades are treated, and sidewalks paved black and white also. It’s so nice to walk streets as aesthetic, where the floor is richly decorated! 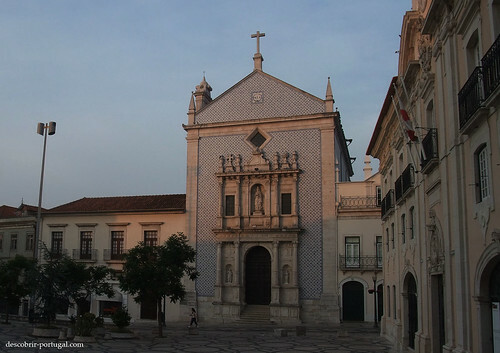 Many streets and city squares are very well maintained, with the typical motifs of Portugal, made with black and white tiles. The general appearance of the city is very nice, very bright. 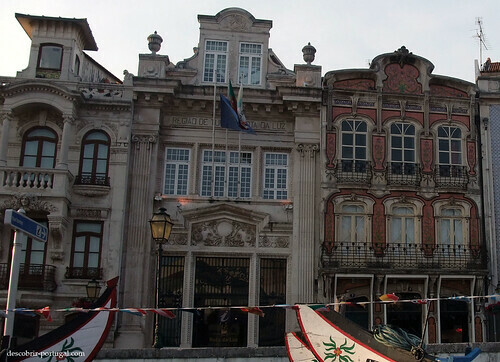 The people in Aveiro make a point of honor to preserve and beautify their city. Seen for example with the preserved facades of old buildings mixed with modern constructions resolutely. 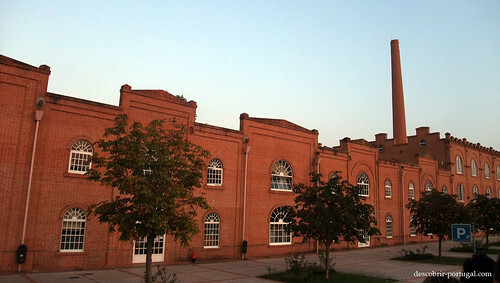 This applies, for example with the former ceramics factory, now converted into a cultural center. 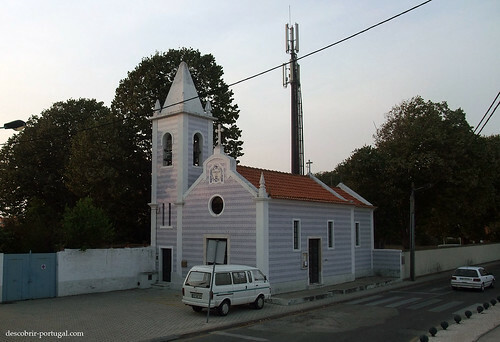 Even if the city did not have very large monument that stands apart from perhaps the Cathedral of Aveiro, this is not a reason not to visit. Here, the important thing of all: the whole city is beautiful. People come here to stroll, watch the buildings, and eat ovos moles, the culinary specialty of the region. The channels are bordered by very beautiful buildings, palm-lined themselves. 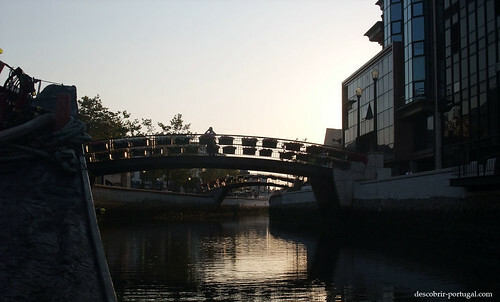 Many footbridges are present, sometimes decorated with pots of flowers. The flower pots are also present everywhere: we noticed that the streetlights downtown are adorned with flowers! 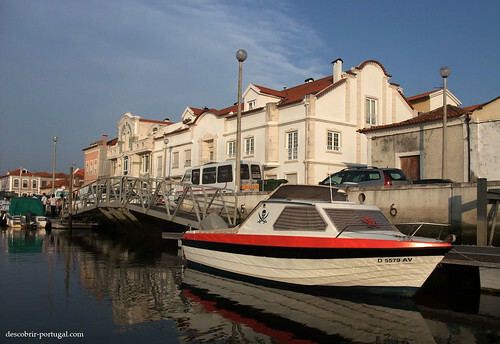 Aveiro is a city that has many advantages, especially if one wants to live and move: economic power, quality of life, near Porto and the airport (while waiting for the TGV), a deemed university, it lacks nothing. Moreover, it is not invaded by a horde of thirsty monuments tourists, since there has not really noticeable. 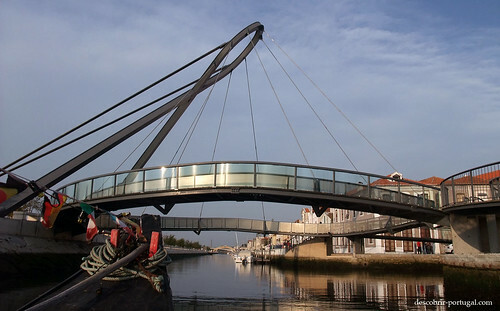 Aveiro is a city to live. February 5, 2011, 9:24 pm, "City". I visited the beaches and the sand dunes when I was passing through but no opportunity for the city. 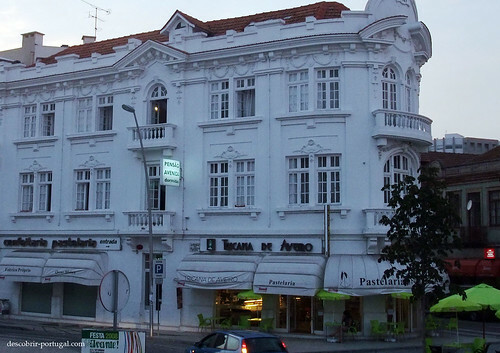 I am very interested in Aveiro primarily because my wife needs to learn portuguese and Aveiro’s university teaches portugese to foreigners. Myself i am also interested in food, especially fish dishes. I have a couple of questions, how are the restaurants in Aveiro and how are the beaches, is the water too cold to swim? Portugal Discovery, February 5, 2011. Portuguese version : Descobrir Portugal. French version : Lusitanie.fr.